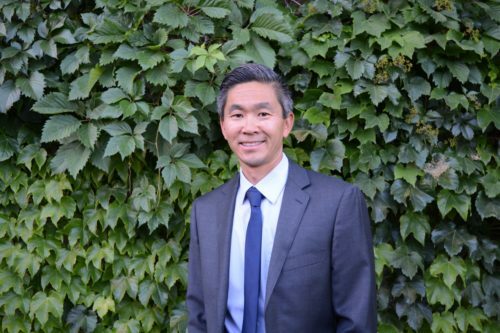 Brian Fukushima is running for Salt Lake City Council in 2017 in District 3. I am a former competitive cyclist and a current avid recreational cyclist. My vision for Salt Lake City road cycling includes more bike lanes for commuting and recreation, bike lanes separate from traffic, wider bike lines along common recreational routes. My vision for Salt Lake City mountain biking includes more trail access, responsible trail development in the foothills, better stewardship and volunteer trail maintenance, and the development of a mountain bike skills/terrain park. To accomplish this vision, funding from government sources (federal, county, city) to improve road bike lanes to encourage human powered transit and a reduced carbon foot print is essential. Likewise grant, city and county funds as part of parks and recreation would help fund trail development and a mountain bike park. Traffic safety and the construction of new bike lines is the most pressing issue to road cyclists. Cyclist and driver education to encourage respect and define rules can help with the problem. The biggest issue for mountain cyclists in Salt Lake City is the development of new trails and maintenance of existing trails in the foothills. I would like to see safer road bike routes with less traffic and lower speeds and bike lanes free of debris. I would like to see new trail systems with maps, signage, one -ways, downhill hill only and a skills development section for new cyclists and families. I am fully supportive of this vision. This program would encourage more road cycling, safer cycling routes, and more options for commuting and recreation. Developing bike lanes in this area would hopefully reduce driving and our carbon footprint, encourage new populations to ride, provide more cycling options for under served areas, and allow for responsible growth in this part of the city. I am in favor of the Complete Streets Ordinance. I am in favor of increasing safety and access for pedestrians and cyclists within the city. There are obvious benefits for physical and mental health as well as for the environment in terms of reducing our carbon foot print and emissions. This is one pathway to accomplish Salt Lake City’s green initiatives. Public and private partnerships, funding, and legislation are all key components. The 10,000 wheels initiative is a wonderful idea. Again, this is one method in which Salt Lake City can reach its environmental goals such as the Climate Positive 2040 aspirations. Such private and public partnerships to help low income and moderate income individuals and those desiring human powered transportation is a worthy cause. I am in full support of all elements of this comprehensive recreational cycling plan. Again, I am an avid cyclist and I enjoying riding as much as I can. I do enjoy riding on the Bonneville Shoreline Trail but this trail system has been neglected both in terms of maintenance and development. Multiple studies have shown that well constructed, environmentally friendly trail networks have health, well being, social , and economic advantages to a community. I will be a tireless and passionate advocate for the cycling community. As an orthopedic surgeon and an outdoors athlete, I value our environment and wish to be a good steward of our land. One of the reasons I live in Salt Lake City is our access to great road and mountain riding. I wish to enhance this experience for future generations. I have limited time and I used to race bikes. Now I ride recreationally and do so primarily near the city. I spend much of my time on the Bonneville Shoreline Trail, City Creek Canyon and Emigration Canyon to Big Mountain. I enjoy riding within our city limits. I am a supporter of cycling and the development of cycling within our community. I enjoy riding with my family and I hope to inspire many others to ride and push their limits.